Dated - August 3, 2011. Inspectors, when adopted by this Chapter on March 11, 2011. 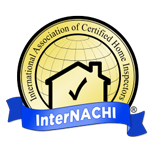 Arizona Chapter of the American Society of Home Inspectors. understanding of the swimming pool & spa conditions, as observed at the time of the inspection. more in depth at any point and this is intended for swimming or immersion. A. Observe readily accessible installed systems and components listed in these Standards. inspected and a reason why they were not inspected. B. decks, steps and coping. D. water supply systems for cross connections. E. external bonding of the pump motors, blowers, and heaters. circuit interrupters, and timer assemblies. G. permanently installed handrails and ladders. H. for the presence of child safe barrier provisions. I. for the presence of entrapment prevention components. 1. type of pool or spa. 2. primary interior finish material. 4. type of child safe barrier provision. 5. type of cleaning system (if present). 6. energy source for heater (if present). exhaustive and will not identify concealed conditions or latent defects. 5. the condition of components that are not visible and/or readily accessible. codes, or manufacturer instructions, drawings, and specifications. 7. any component or system which was not observed. 11. the safety of use of any pool or spa component. litigation, product liability or other adverse claim or condition. 14. the structural integrity of any system or component. 15. the adequacy of system and component design, and of filters and heaters. the conformity of these barriers or components with local codes and ordinances. 18. flow rates and high or low pressure conditions. 19. leaks in the shell or underground components. 20. geological and soil conditions. 21. the strength, adequacy, efficiency or safety of any system or component. 1. observe component interiors that are not readily accessible. 2. offer warranties or guarantees of any kind. 3. calculate the strength, adequacy, efficiency or safety of any system or component. components or be dangerous to the inspector or other persons. 5. operate any system or component which is shut down or otherwise inoperable. 9. determine the safety of use of any pool or spa component. 10. dismantle any system or component. 11. predict future conditions, including but not limited to failure of components. 12. project operating costs of components. 13. perform any act or service contrary to law or regulation. such services performed by others. 15. perform any trade or professional service other than as required in these Standards. 17. test or operate valves and automatic safety controls. 19. test, operate, or evaluate electric resistance heaters. time needed to obtain hot water, of any pool or spa heater. such equipment, or for activities such as diving. thermostats, heating elements, solar and other alternative energy heating systems. 23. evaluate water chemistry or clarity, or presence or absence of bacteria/algae. fills, water treatment or chemical dispenser systems. components and accessories, or back-flow prevention devices. 27. observe underground items and items not permanently installed. modifications, or evaluate out-of-level conditions. A customer who contracts with an inspector for a swimming pool and/or spa inspection. A readily accessible and observable part of a system. special protective clothing or safety equipment. distinguish it from other components used for the same purpose. course of normal household maintenance. Digital, computerized, low voltage or solid state equipment operation management devices. system that helps prevent a person from being held underwater at a suction outlet. A person certified as a home inspector by the Arizona Board of Technical Registration. A system or component that is unsafe or not functioning. Devices, such as thermostats and switches, intended to be operated by the homeowner. destructive measures, or any action which will likely involve risk to persons or property. normal reach, can be removed by one person, and is not sealed in place. be due to damage, deterioration, or improper installation. Copyright © 2019 Taylor Made Inspection Service, PLLC, all rights reserved.